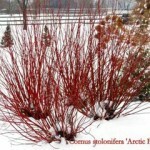 A compact, rounded shrub with bright red stems in the winter. Blooms in the spring with clusters of small, white flowers. 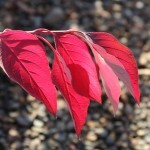 The dark green leaves turn a reddish purple in the fall. 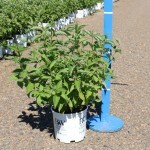 Use in mass plantings, woodland or natural settings, or general landscape use. It needs moist to wet soil, part to full sun. 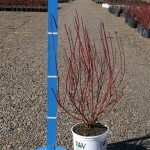 Prune to remove some older stems and encourage new growth. PP 18,523.